The Glyphosate herbicide is a broad-spectrum systemic herbicide used to kill annual broadleaf weeds and grasses that compete with crops grown on a large scale. By volume, it’s one of the most widely used herbicides. Its uses include agriculture, horticulture, silviculture purposes as well as for home garden maintenance. Some crops have been genetically engineered to be resistant to it allowing farmers to use Glyphosate herbicide as a post-emergence herbicide against both broadleaf and cereal weeds. These crops are referred to as “Roundup Ready”. Soy was the first of these shortly followed by corn, sorghum, canola, alfalfa, and cotton, with wheat still under development. These cultivars greatly improved conventional farmers’ ability to control weeds, since glyphosate could be sprayed on fields without damaging the crop. Glyphosate is rated least dangerous in comparison to other herbicides and pesticides. It does not bioaccumulate, and breaks down rapidly in the environment. The EPA considers glyphosate to be relatively low in toxicity, and without carcinogenic effects. It’s effect on the life of soil may be limited, because when glyphosate comes into contact with the soil, it rapidly is inactivated when it binds to soil particles. To stop pre- and post-emergence broadleaf and grassy weeds in major crops like corn, sorghum and sugar cane, the Atrazine herbicide is frequently used. The compound is both effective and inexpensive, and is well-suited to production systems with very narrow profit margins, as is often the case with corn. 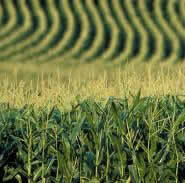 Atrazine is the most widely used herbicide in conservation tillage systems, which are designed to prevent soil erosion. Atrazine herbicide is a controversial herbicide that was banned in Europe in 2004 due to its persistent groundwater contamination. This vastly used herbicide gets a lot of bad publicity from concerned people without adequate information. Levels of atrazine in U.S. waters are well within the federal lifetime drinking water standard of 3 parts-per-billion — a level containing a 1,000-fold safety buffer. It’s widely used in the United States, with 76 million pounds applied each year. The regular testing of Atrazine herbicide has seen it pass the most up-to-date safety requirements in the world. We’d be hard pressed to find a gardener or farmer who didn’t know about aphids and leaf miners. Did you know there are over 4,000 species of aphids? Acephate insecticide is an effective treatment against these very resistant species of damaging insects. Aphids are born pregnant and reproduce fast. Baby aphids are all female and they become an adult in a week. Aphids can reproduce without males but males do develop once in a while in order for the genes to change. Aphids are small and soft-bodied and also referred to as plant lice. You can find them in green, pink, yellow, black colors and even colorless. They grow up to 2 to 3 mm long and are shaped like a pear. They feed only on plants, where they gather in huge colonies on the leaves and on the stem. Aphids live everywhere in the world but are overly destructive in temperate regions. Most of these plant lice are wingless but there are exceptions. Leaf miners are more difficult to eliminate because they live inside a plant’s leaves. Spraying the infected leaves with Acephate insecticide will eliminate leaf miners but it will take two or three applications. This insecticide does not kill on contact and must be ingested by the insects. These insects are such a bother that many gardeners and farmers turn to Acephate insecticide and various other pesticides. Others turn to the enemy of many insects, the ladybug, and sometimes to row covers or insecticidal soap.